Exciting news! Many of our B.A.S.E. 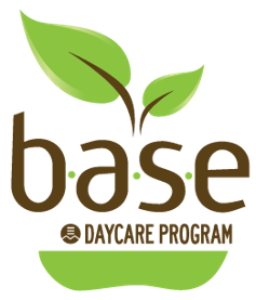 Daycare Green Club Seedling Sales coming in May will feature heirloom fruit and vegetable seedlings thanks to Baker Creek Heirloom Seeds! Baker Creek had an excess supply of seeds they couldn’t sell because of the dates on the packages, even though the seeds are still viable. Green Club Animator Mr. Ryan wrote in to ask for some of the seeds they were giving away for free to give the schoolyard gardens powered by B.A.S.E. Daycare, but they were already out! However, Baker Creek wrote back with a $50 voucher to buy seeds from them! One of the special things about using heirloom seeds of fruit and vegetable plants, is that you can save the seeds from the plant you grow to get the same plant year after year with most of the characteristics of the original parent plant. When you buy regular, usually hybrid, seeds from your local hardware or garden store, if you save the seeds from those plants, the plant will grow back but the results will not be as good. You can read more about heirloom seeds here. All the seeds bought with the voucher will be shared among the B.A.S.E. Daycare Green Clubs to be either sold at seedling sales or planted in our schoolyard gardens! Thank you Baker Creek!